If you’re in Brisbane and need skip bins for your waste and rubbish, Cheap Skips is for you. 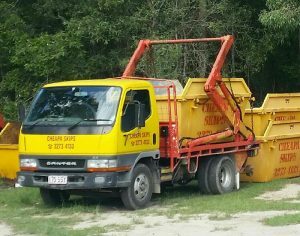 We are based in Sunnybank Hills, and we offer cheap and reliable skip bins in Brisbane’s southern and western suburbs. We offer skip bins in a variety of sizes, ranging from small 3m3 skip bins all the way to extra-large 12m3 skip bins. Simply let us know what skip bin size you need, and we’ll deliver it to you. Feel free to call us if you need help deciding what size is right for your needs. We offer private, commercial and industrial skip bins, ensuring you can get the type of skip bin you need wherever you are in Brisbane’s southern and western suburbs. Click here to find out more about our Brisbane skip bin services. Cheapa Skips is one of the most trusted providers of skip bins in Ipswich, offering different sizes of skip bins for residential, commercial, and industrial waste. We offer everything from 3m3 bins for general household waste all the way to 12m3 bins for construction clean-ups and industrial rubbish removals. 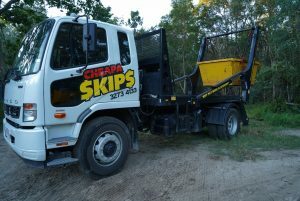 Wherever you live or manage your business in Ipswich, you can count on Cheapa Skips to have your skip bins ready on your property on time, every time. Click here to find out more about our Ipswich skip bin services. 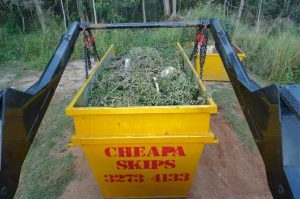 If you’re looking for a professional and friendly skip bin service in Logan, Cheapa Skips has you covered. Based in Sunnybank Hills in Brisbane, we can easily deliver your skip bin hire to any suburb in Logan City. We rent out skip bins in several sizes, ranging from small skip bins for residential rubbish removals to extra large skip bins for commercial and industrial waste. Just let us know what size of skip bin you need and what time you want it on your property, and we’ll deliver it to you as scheduled. Click here to find out more about our Logan skip bin services. Ready to Book Your Skip Bin Hire? Click here to start book your skip bin hire online. Select the skip type you need (depending on what type of rubbish you’ll put in). If you’re not sure what the right skip type is, call 3273 4133 to get help. Select the skip size you need.